Starting your own business can be scary, but with these great tips from three successful female entrepreneurs, you’ll have the courage to follow your own dreams. 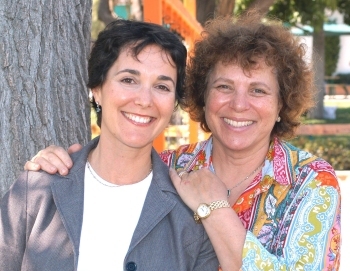 Mother and daughter Kathie and Zoe Shapiro share more than just good genes, they share a love of children’s clothes. 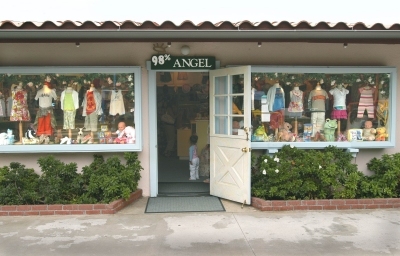 In 1993, the dynamic duo opened the hip children’s boutique 98% Angel in the beautiful beach town of Malibu, California. The store has become a favorite of celebrity moms and dads, carrying the most fashion-forward clothes, shoes and accessories as well as their own signature line of basic apparel and accessories. Now, Kathie and Zoe share their tips on how to start your own business. Pick an industry you’re passionate about. Consider your passions, your knowledge and the need in the industry for your business. You must be completely dedicated. The first year to 18 months of your company are both extremely taxing and telling. Make sure you are ready to dedicate the time, energy and financial resources necessary to getting it off the ground. Create a clear, practical business plan. This plan will be the roadmap to your success. Include information like the company’s objectives and goals and how you plan to meet them. Designate specific tasks to certain people or departments, define any partner agreements, and keep the plan concise. A great business plan is also imperative if you need to generate capital for your start-up. Location, location, location. Take time to find the right location for your business. Find space in an area where you have family and/or friends, as those people will be key referrals when your business is blooming. Make sure the business location and your target customers are in the same area. Create the right team. Surround yourself with like-minded people with different strengths. Invest in people who have the right background and who you trust to represent the business. Often you can find these people by reaching out to trusted friends and business professionald. If you like them and their business acumen, you will probably like those they surround themselves with as well. This will be the most important key to your success. Stay involved, informed and listen. Make sure you stay informed about business practices and changes in your industry. Create an open forum for business associates and employees to offer comments and criticisms about how to more efficiently and economically run your company. Visit 98% Angel at www.98angel.com. Lindsey Marie, 22, started making jewelry only two years ago while studying pre-med at a Texas university. In only 18 months, her line, Lindsey Mariel Pearls, made its way to forty stores nationwide, has been worn by models in domestic and international fashion shows, and most recently she was selected to be part of an Emmy gifting suite where she received rave reviews by celebrities Paula Abdul and Debra Messing. Now, Lindsey is headed to The Royal College of Art in London where only 20 people are chosen every year. Still, Lindsey takes the time to tell us her story and share a few pointers. Find your passion. I wasn’t passionate about pre-med even though I finished my degree, and I always loved fashion. My aunt, who imports jewelry, took me to a gem show and I bought $300 worth of gems and just started putting things together. I knew that this is what I wanted to do so I enrolled at the Art Institute of Dallas at the same time. Learn as much as you can. My aunt taught me the basics, I read books, asked friends to teach me some things who made jewelry as a hobby, and I took metal working classes. Be prepared to take a hit financially. The first year of my business was not really profitable, but I always reinvested any money I earned back into it. If you’re really passionate about something, give it time to grow. Have a good team. My dad’s a CPA so he helps me with my taxes and the legalities and my mom helps with the nitty-gritty stuff like reordering. Having them helps me focus on my own strengths such as designing. Take your business cards everywhere. I carry them with me at all times, you just never know when there’s an opportunity. Check out Lindsey’s jewelry line at www.LindseyMarie.com.